Whatever Happened to Lily? (2010) The story of Jay, who came of age in the sixties. He’s a likable kind of person, a regular guy, very tall, very good looking, with the inclination to be a bit of a free-spirit and not necessarily conform. Jay meets Lily. The love story between them evolves and they make plans to share their lives together as soon as he has completed his military obligation. Unexpectedly, Lily drops out, stops writing, disappears. Jay is at first hurt, humiliated and then angry and embittered. He searches for Lily when he gets out of the Marines but has no luck, she’s disappeared along with her whole family, and anyone who might have known her can’t tell him what happened to her. His search takes him to Florida where much later, he begins a life with someone else under less than perfect circumstances. When Lily contacts him forty years after she mysteriously disappeared, through a social network, Jay is at first confused and angry, then finds himself falling for her all over again. He has to do some soul-searching. Is he the type of man who can sever the ties he’s formed, to be selfish, to return to the one woman he could never get over? It takes many months of deep thinking, and experimentation with what he can be comfortable with until he reaches a satisfactory conclusion. Second Stories (2011) A story of four men who started work on the same day in August, 1968 at Bethlehem Steel. The back story of each man is chronicled, what they did right, what they did wrong, with the women in their lives until the day when they first came to know each other. Against a backdrop of barroom current events and political discussions, the year 2008 is a time of change for all of them. Even later on in life, sometimes things can happen that alter everything we thought we knew. This happened for the four friends, as one may lose his wife of forty years, one finds unexpected friendship with a woman he’d been estranged from for two decades, one finds a new love, and there is the one, the lucky one, who is still happily married to his high school sweetheart, the one the others secretly envy for having found the right girl in the beginning. It’s four love stories in one, and the common thread of male friendship that is the central theme of this novel, a bit of history of the steel industry, and the sixties, seventies and eighties; times when people made decisions based on cultural values and a desire to conform to the rules society placed on us back then. 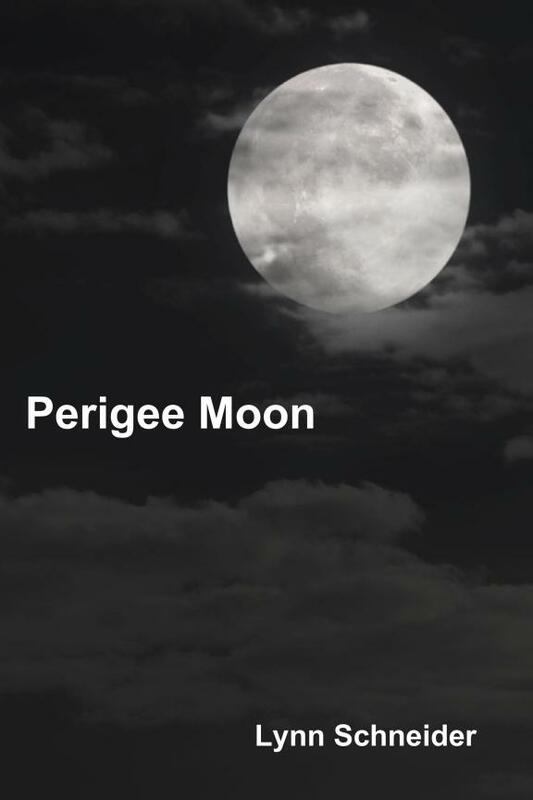 Perigee Moon (2012) Luke had been with Kate since they were children, his constant companion. She controlled him, she made him her property, she owned him. His passive nature led him to follow her unquestioningly, and coerce him into choices he never expected to make and a lifestyle he never expected to live. Until the night of the Perigee Moon when things are not right with his life and he finally makes some choices that are his own, and not Kate’s. He wants a different kind of existence, and issues he has been unwilling to confront become important enough that he realizes he must make life-altering decisions, reconsider what he thought he’d understood all along, and revise the view of his own nature and place in the world. Abby, the one girl from the past he’d never forgotten, comes back into his life and Luke finds the friend, the lover, the soul mate he has craved, only to be subjected to Kate’s intervention. Luke must convince Kate that what they had is over and convince Abby that what they have is right. I enjoyed your discussion of euphemisms — which led me to discover that you have written several books I am interested in reading — when I finish the three I am currently savoring. The post on euphemisms was my most popular, but there were almost no comments. I started this blog in the hopes that it would lead to people reading my books as you have stated here. Thank you and I do hope you enjoy them. I like your books, very interesting, do you know Mr David Depolo.